There will be another October Wedding this year and I am already thinking about the wedding cake. A few hours ago I chatted with the groom and found out that they were engaged at a winery, and that they will have a fall-theme throughout their wedding. Making a wedding cake is just like creating a painting. 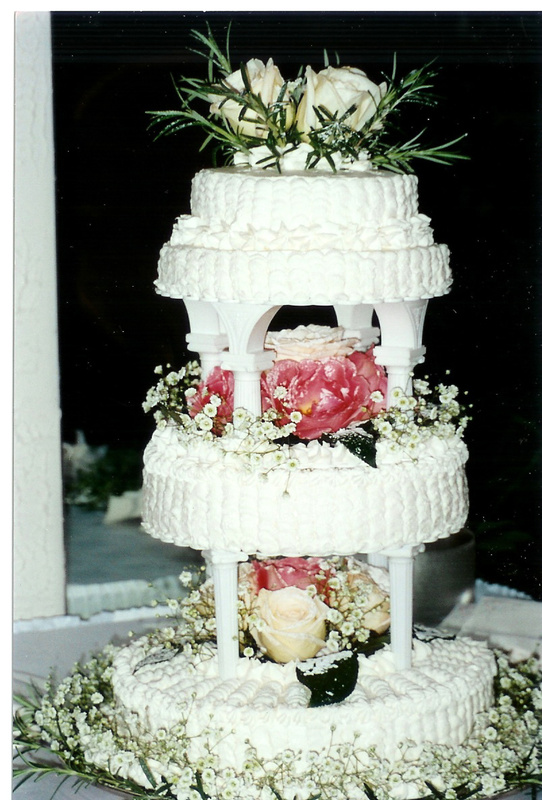 It takes time to think about the design and the actual construction of the cake, keeping the wedding theme in mind at all times. I am a person who has to have a vision of that cake in my head before I even begin to bake and create that cake. With what I know about the wedding I am thinking about grape leaves in their fall colors and grapes in small clusters….frosted with sugar crystals of course. The icing will be a soft sunshine color with an orange flavor. 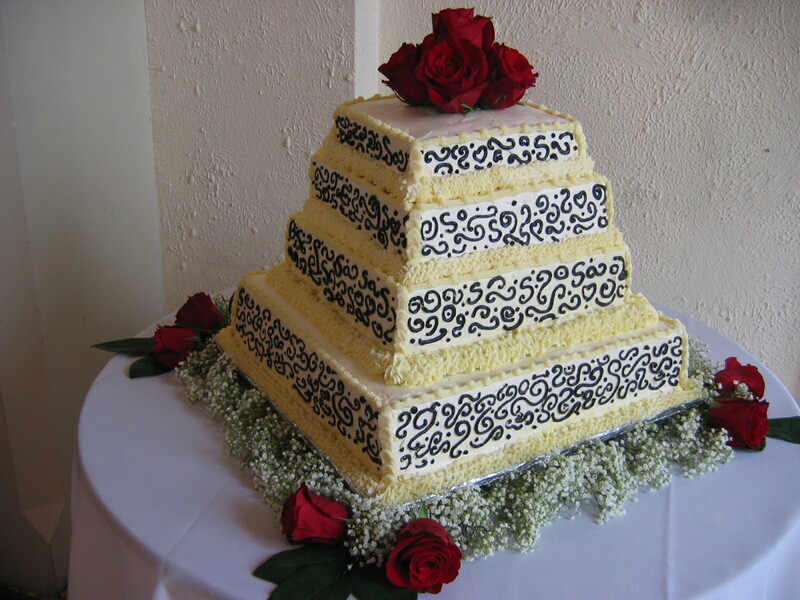 It takes me about four to five days to create a wedding cake. The first day I bake all the cakes that will make up a four tiered cake and, the second day the cakes rest overnight, covered with wax paper and tea towels at room temperature on my counters in the kitchen to become more solid and easier to slice. The creams are prepared in the morning on the third day, when I start filling the cakes in the afternoon. There are always two different creams, one is the filling and the other is the icing. When all the cakes are filled and iced they go into my pastry- refrigerator overnight. The fourth day the fun begins. I love to use my pastry bag and create a cake that is not a reproduction, but a creation of my imagination. 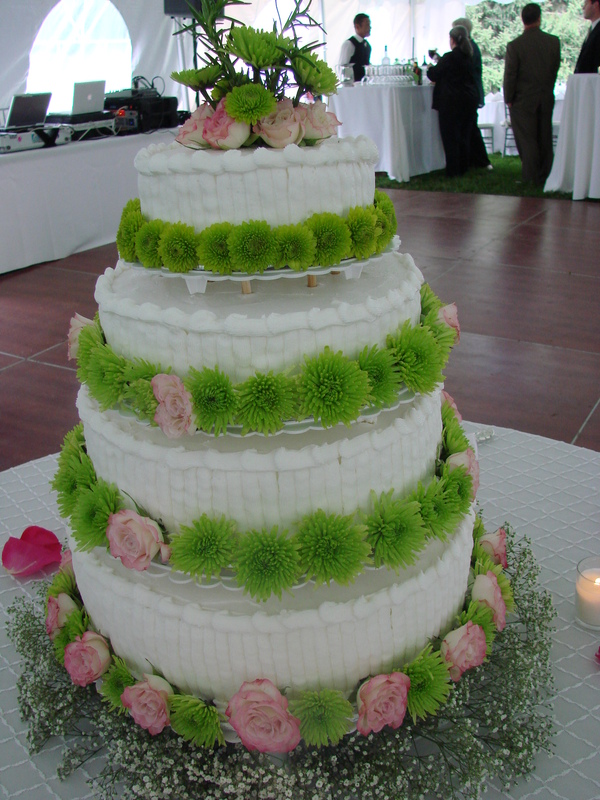 Upon delivery of the cake to the wedding reception I finish the cake with real flowers to enhance its freshness. Fresh flowers give the guests the feeling that it was just baked and that it came from a kitchen where it was created with love. 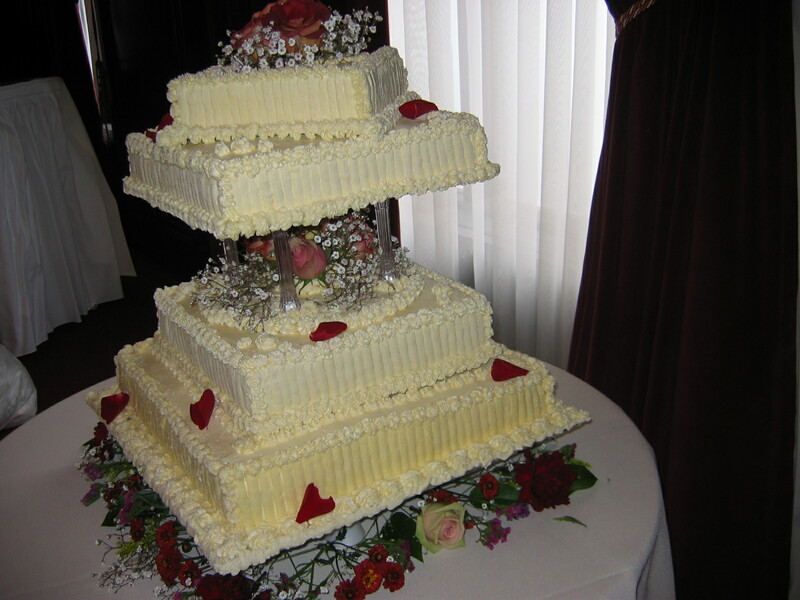 Oh……..and I have never charged for any of the wedding cakes that I have made…….I give them as my wedding present. that I have given as gifts to special people in my life………. I think a grape theme is perfect! One of the most beautiful grapes is a sort of striated colouzation. I can’t recall the varietal. I am looking for some of my artwork from my product-development days. I did find a few of the photos I worked from. Email and I will send these to you. Much nicer than just red, purple green bunches. Hi Mary Ann…….thank you for wanting to send me some photos of grapes that are a little more extraordinary. Sounds delightful! Champagne grapes would be fun. Hi Jill……..how nice to find you so quickly reading my blog. 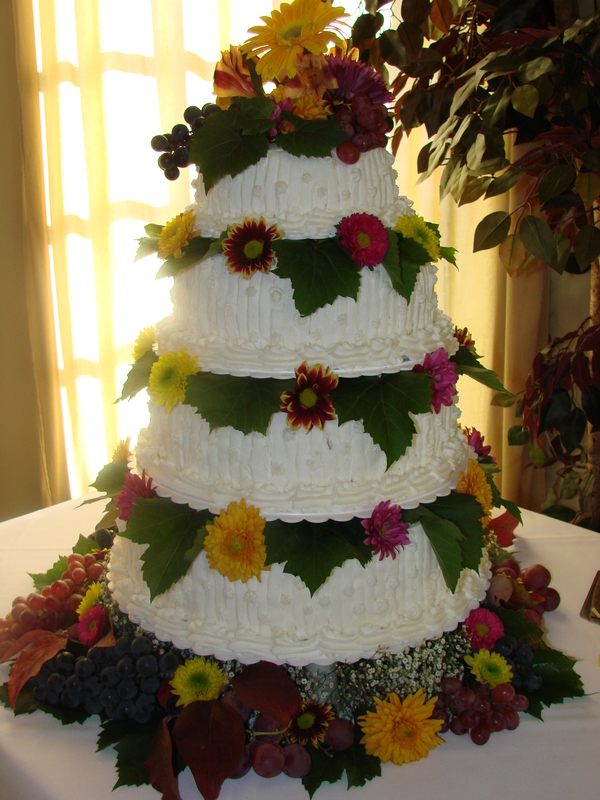 I want to keep the cake softly green with the fun fall colored grape leaves dressing the bottom of the cake…….like floating the cake on a cloud of fall……. thank you for your nice words……..it will be nice to get to know each other and please stay in touch. Hi I just wanted to leave a comment to say that I enjoy your blog. Congratulations on a very popular site. Thank you for your nice comment………I love hearing what people think about my postings…….. I am sorry you were not able to pull up the pictures of the wedding cakes…..I have heard from other people that they too had problems with it. 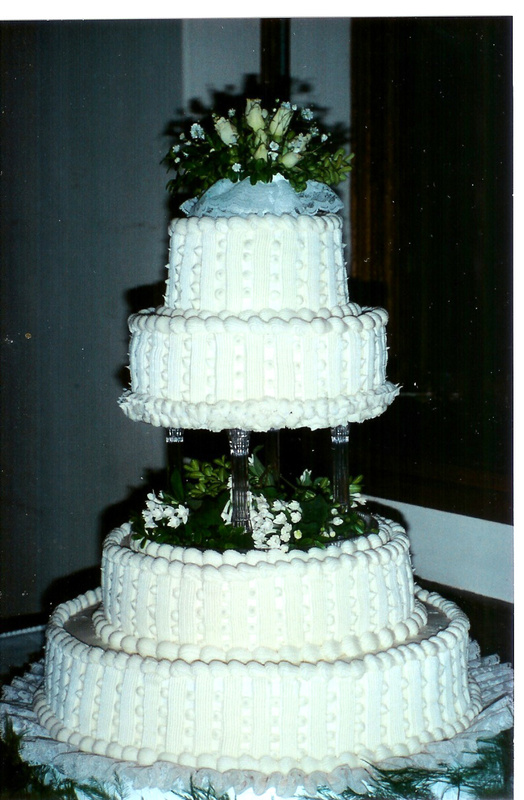 I am on FaceBook and have an album of the wedding cakes there………..
You can see them there……. It was fun reading your blog. Always looking at new recipies. Could not view the pictures of the wedding cakes. Hi Celest…………it is so good to hear from you!!!!!!!!! 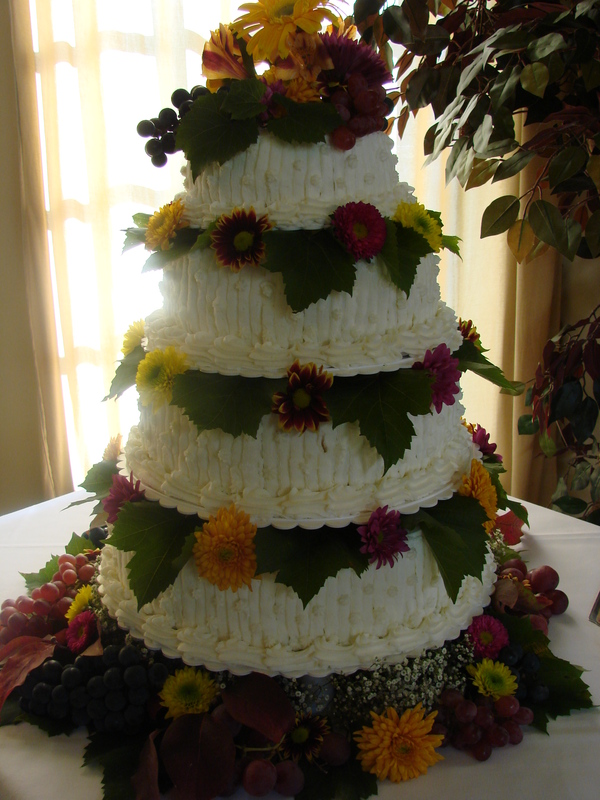 I am sorry that you could not see the wedding cakes……are you on Face Book? I have an album of the cakes on FB you could see them there. Come by sometimes…….I would love to see you…….and if you need any recipes just let me know. For some reason I don’t have the previous wedding cake pictures and I would LOVE to see them! Since I am not a “techy” I may be doing somethig wrong. But the theme for your present cake sounds wonderful! Your blog is beautiful, hats off to you! Thanks for sharing. this plant that I love. BTW, could not get the wedding cake pictures.